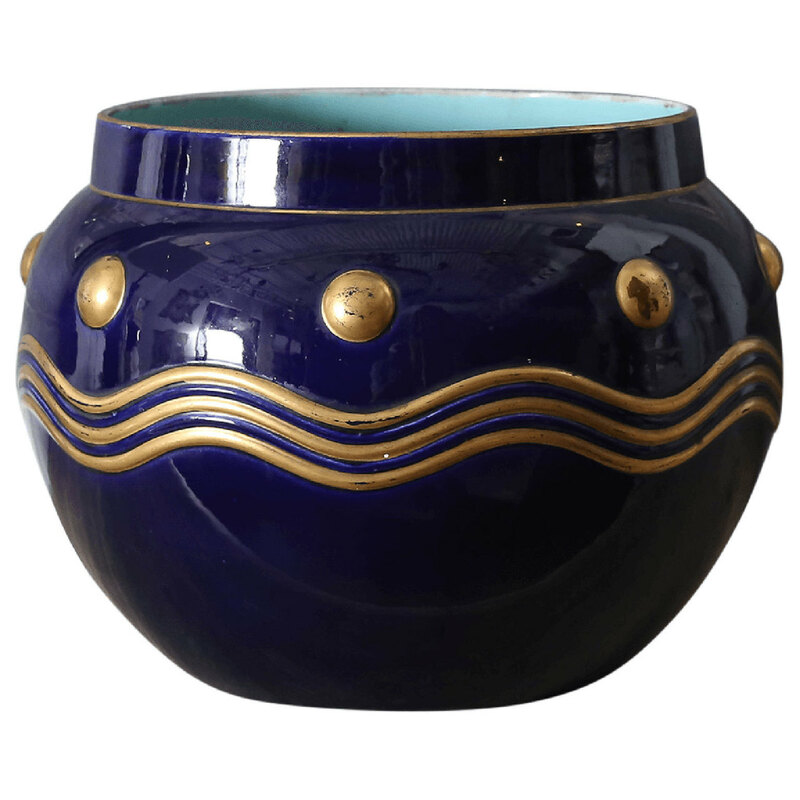 French faience cachepot by Sarreguemines – Digoin – Vitry-le-François (formerly Utzschneider & Cie of Sarreguemines, France). 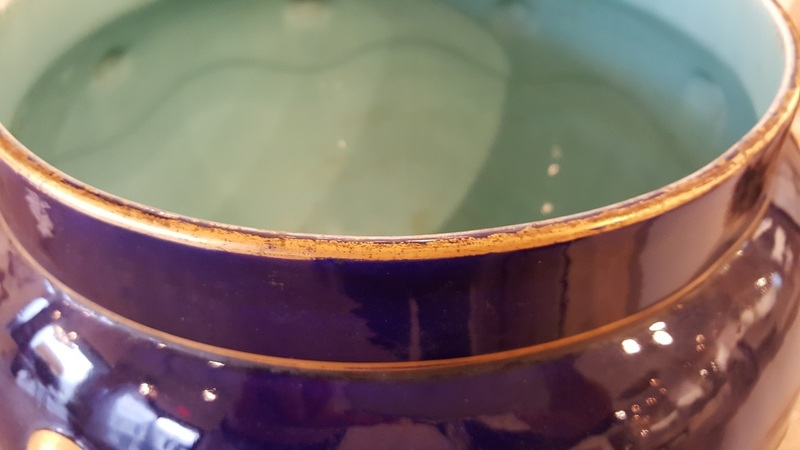 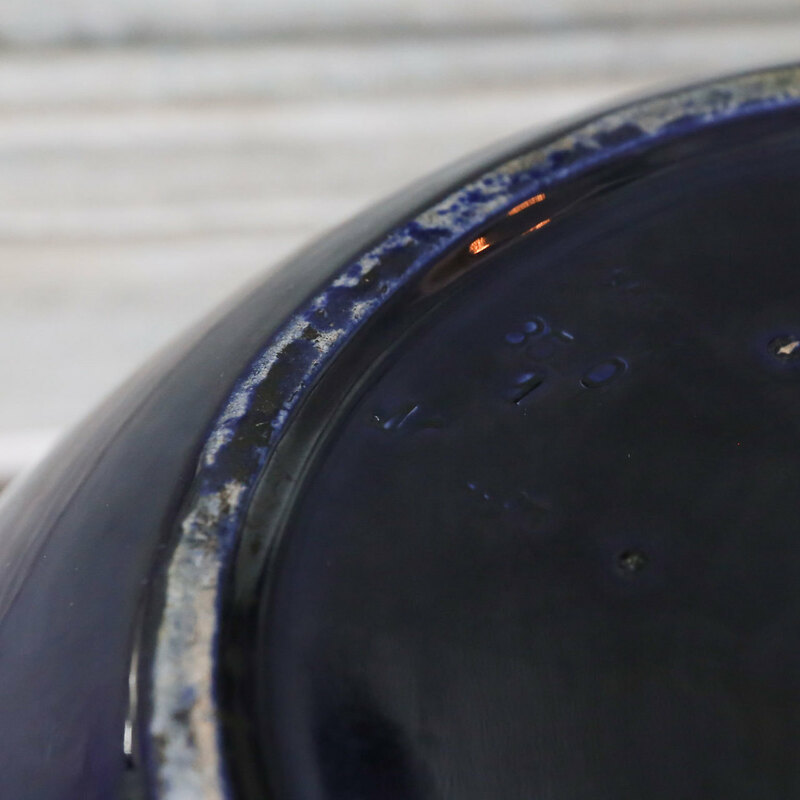 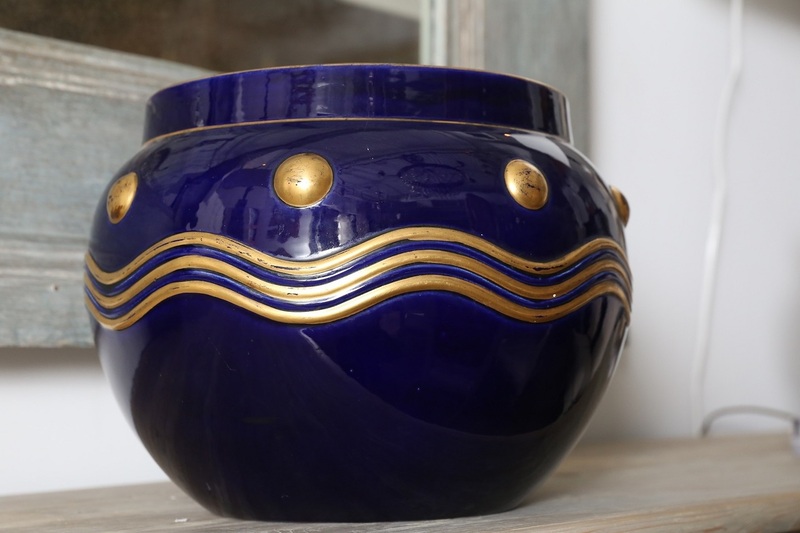 Cobalt blue surface adorned with raised gilt decoration. 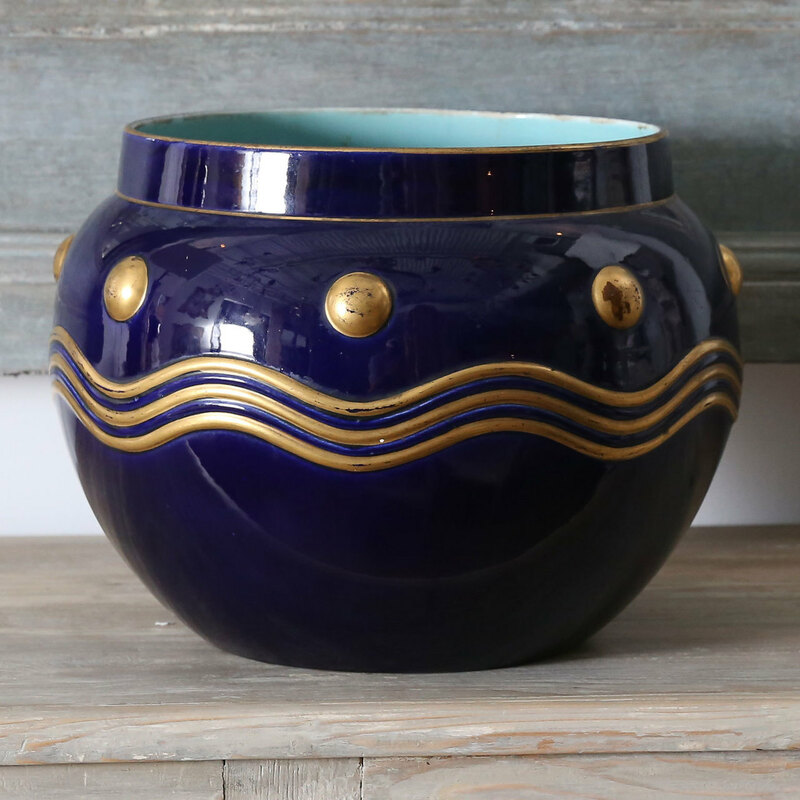 Interior and bottom surfaces of cachepot are finished in a soft, pale turquoise. 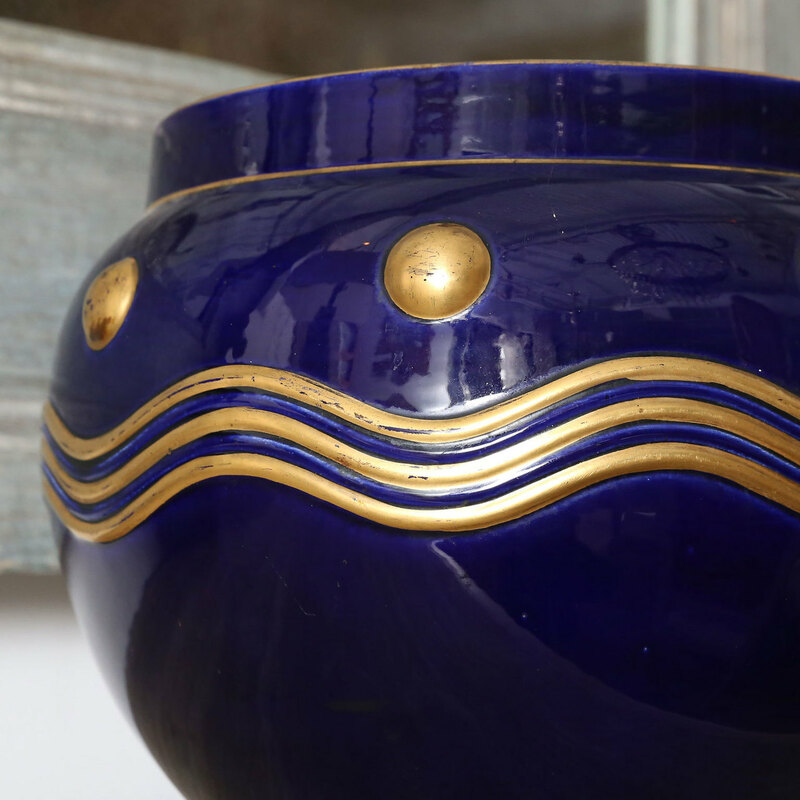 This exceptional cachepot is impressed “Sarreguemines France” and reminiscent of Sèvres in color.